Comments: Blue-green foliage adds accent to the landscape. Flowers insignificant, but cones are attractive. 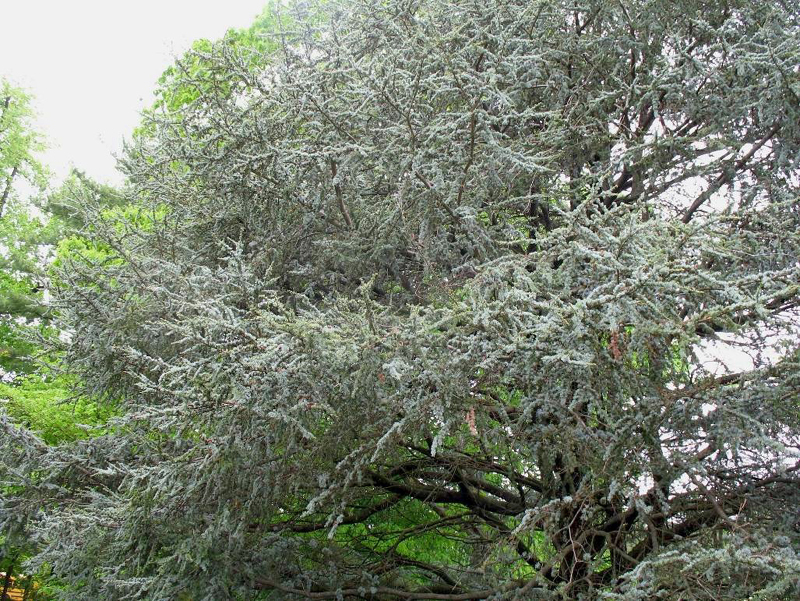 This long-lived, heat tolerant tree makes a good specimen or accent in the landscape. Select an open site in full sunlight and a well drained soil for this conifer. The gray foliage is a special feature.